The Harlin Firepit will not only keep you warm long into the night, it will also BBQ your late night snacks with its built in cooking grill. This is truely great value for money, not only do you get a firepit, you get a BBQ aswell. 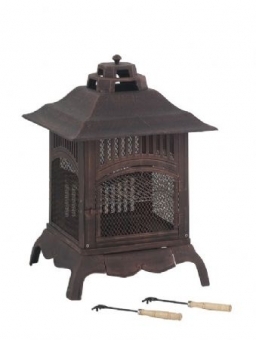 The Harlin Firepit is made from high quality pressed steel construction with abrushed copper finish and is perfect for any garden. It also make a great gift idea!